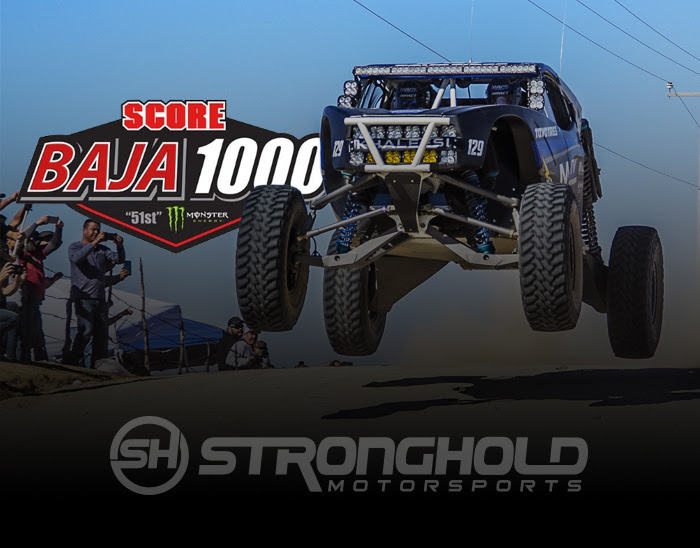 With their hopes set on a back to back class victory, Stronghold Motorsports along side Vildosola Racing returned back to the Baja desert to take on the 51stScore International Baja 1000. Anxious to not only put the 12L back on the podium, the Stronghold Motorsports team looked to redeem themselves in the #129 Class 1 car. 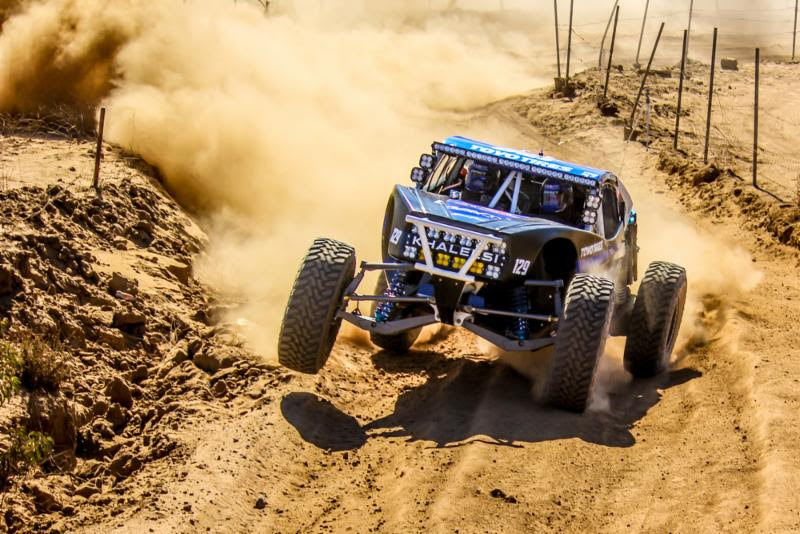 Much like every year, the 2018 Baja 1000 brought along one of the toughest courses in recent memory, rough terrain, rocks, silt and blinding dust would play a factor for every team. While months of late nights, planning and preparation went into getting the 12L Trophy Truck ready for the big dance, the team’s hope were cut short early on in the start of the race when the 12L suffered a blown left front shock. With no tools and resources available to fix the issue, the team made the call to put the truck up onto the trailer. An opportunistic day came to a disappointing finish for both teams who both felt the truck could claim a repeat win in the Legends Class. 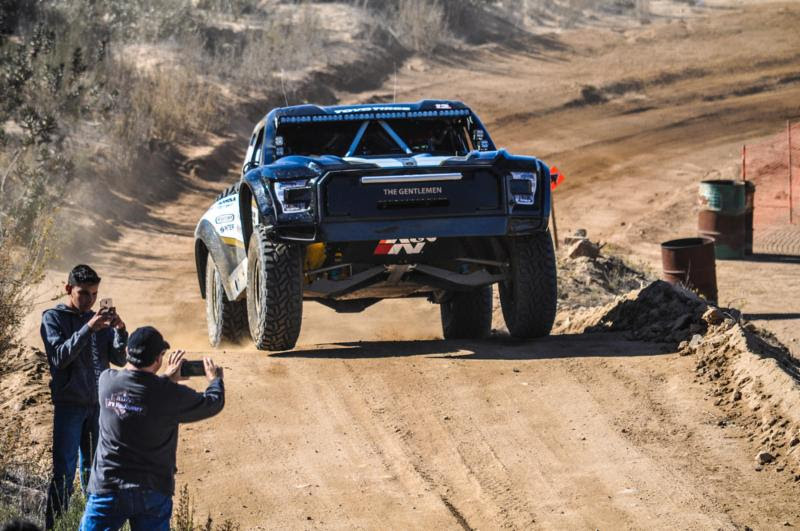 Fortunately, because of the successful performance the 12L put in for the 2018 season up until this point, the team only needed to post a start at the Baja 1000 to claim the points championship in the Legends Class for the 2018 Score International Series. 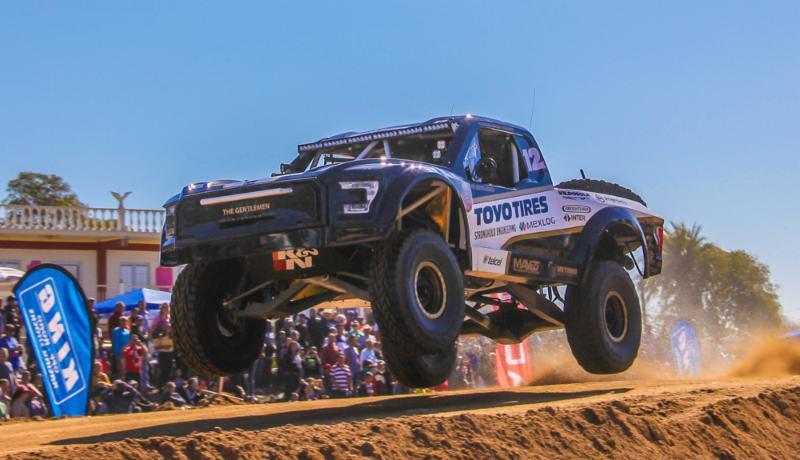 The day was not all lost however, as Stronghold Motorsports and team in the #129 Class 1 got off to a solid start early on working their way up near the top position in their class. Putting together a solid run, the 129 suffered it’s first flat around mile marker 185, and met up with chase support to rack a brand new tire at mile 200. Shortly after around mile 250, the 129 lost it’s rear brakes and would have to drive without most of their stopping power until at mile 320 where support was able to bleed the brakes. After a quick fix the team got back into the race pushing hard only to encounter a second flat in the soft sand. Soon after fixing the flat, the team made their first driver change at mile 365 where they also made another quick fix to the brakes. For the next 90 miles the #129 would have to suffer through the blinding dust but would push through to mile 490 where the #129 stopped to resupply and change the brake calipers. At mile 600 Stronghold Motorsports made their third and last driver change and would continue to push hard through the desert only to suffer brake failure again only 30 miles before the finish line. With no brakes in the rear of the car, the #129 would have to tread carefully for the remainder of the race to ensure there were no more issues and could finish the race in a top position. With the brake issues, flat tires and a GPS issue, Stronghold Motorsports and the #129 claimed a 2nd place finish in their respective class. 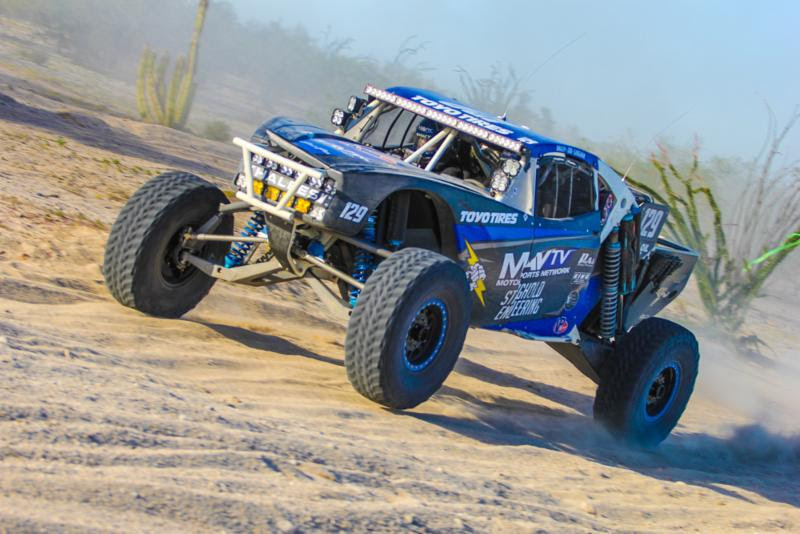 The team worked hard and fast to keep the #129 in contention and while so close to a win, Stronghold Motorsports and Vildosola Racing left Baja with a 2ndplace class finish and a Legends Championship. Bright Nights With These New Rock Lights! 2018 YOKOHAMA NORRA Mexican 1000 – PR22 – Off-Road Racing Pioneer Lynn Chenowth Named Grand Marshal For 2018 YOKOHAMA NORRA Mexican 1000!